Far from the tour bus crowds and traffic-choked wine-tasting routes in Napa and Sonoma, the two-lane roads meandering through Paso Robles wine country are far less traveled, but the wines are no less esteemed. Located about halfway between Los Angeles and San Francisco on California’s Central Coast, Paso Robles has dusted off its cowboy boots to emerge as a preeminent wine destination.”Paso,” as it is called locally, is the fastest growing wine region in California with 32,000 acres of vineyards and well over 200 wineries. 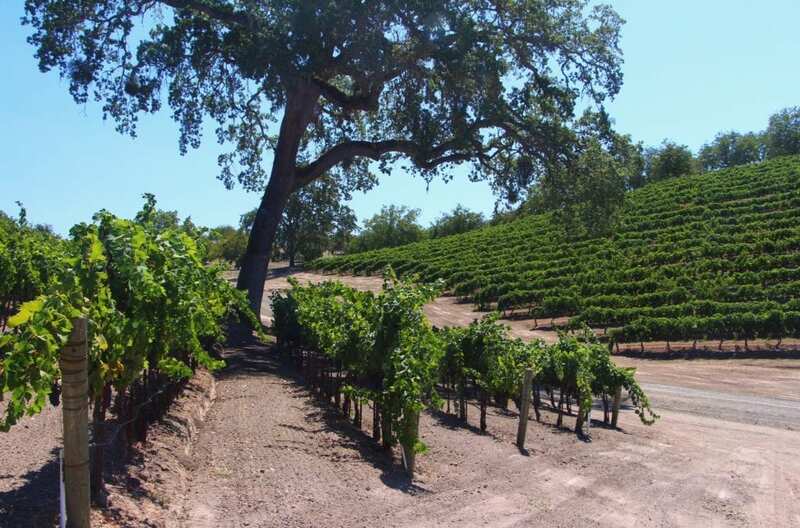 With 11 AVAs, the region’s diverse microclimates produce more than 40 different varietals ranging from Spanish to French to Italian, as well as California classics. Not beholden to the long-standing conventions of other wine regions, vintners in Paso have earned their acclaim with non-traditional, innovative blends. The region is best known for its Cabernet Sauvignon and Bordeaux-style blends, Syrah and RhÃ´ne-style blends, Pinot Noir, and Chardonnay. I took a drive late last summer up through the bucolic hills just west of Paso Robles to visit wineries and inns along the way. Sun-dappled country roads winded their way through graceful old oaks dripping with Spanish moss and golden hills draped with vineyards. It’s a lovely drive, and for long stretches, there wasn’t another car in sight. But that may eventually change as the word gets out. Wine Enthusiast recently named Paso Robles one of the 10 best wine travel destinations for 2016.Here’s a quick tour of where to stay while exploring the wines of Paso. 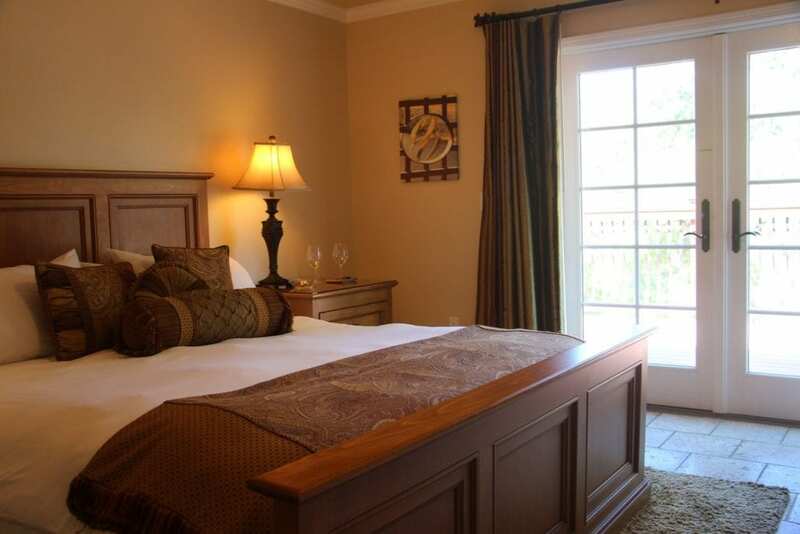 If you can only stay one place in Paso’s wine country, stay at JUST Inn. Renowned for crafting premium Bordeaux-style blends, JUSTIN Winery was named American Winery of the Year for 2015 by Wine Enthusiast. 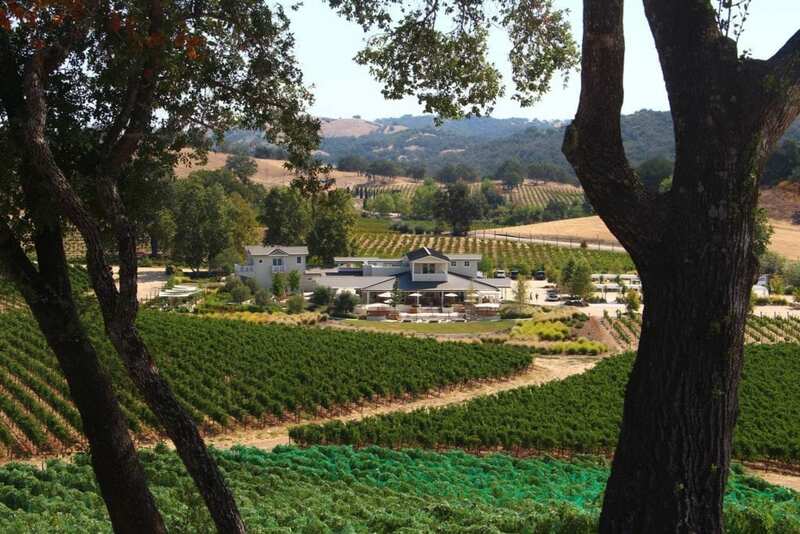 The winery is an exquisite destination unto itself with a luxurious three-suite inn tucked behind the restaurant and tasting room and surrounded by vineyards. 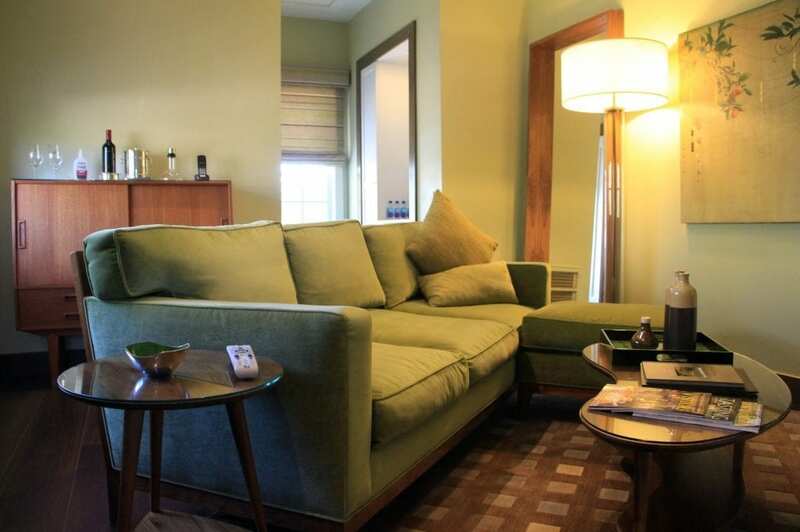 The inn was revamped in 2013 with a soothing pale green palette and mid-century modern furnishings. The suites, each named for one of JUSTIN’s signature wines, feature fireplaces, Tempur-Pedic® mattresses, Frette linens, hydro-spa tubs, and many welcoming touches. A stay at the inn includes breakfast delivered to your door and a winery tour and tasting, but don’t miss the restaurant’s five-course, farm-to-table, wine-pairing dinner. It’s sublime. 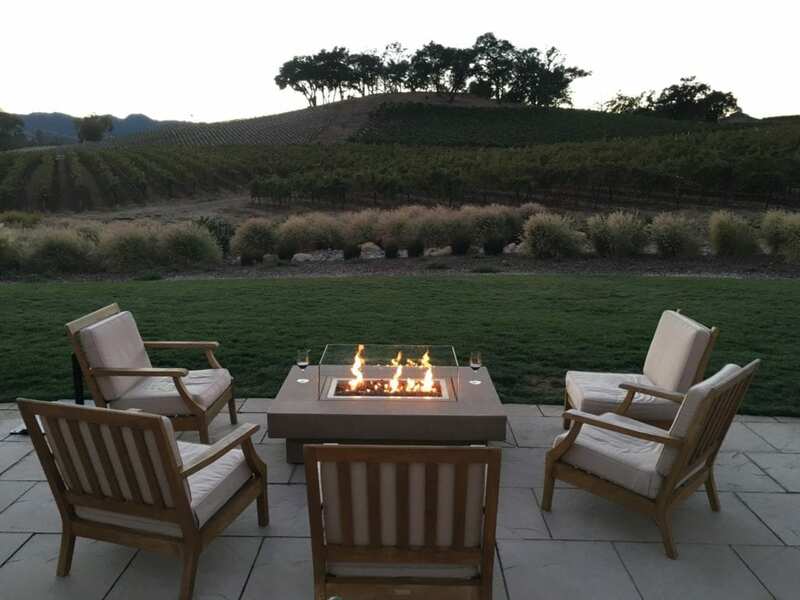 Afterwards, take a glass of wine outside to the concrete-and-glass gas fire pits lining the edge of the patio. The dark night skies above this quiet, remote vineyard turn out an expansive blaze of stars once the sun sets. And the best part: you’re likely to have the place all to yourself at night. If you truly want a place all to yourself in Paso wine country, rent out the exquisitely-restored farmhouse at HammerSky Vineyards. The elegant, 1904 colonial farmhouse sits on a 50-acre vineyard with a small winery, tasting room, barn, and graceful old oaks. 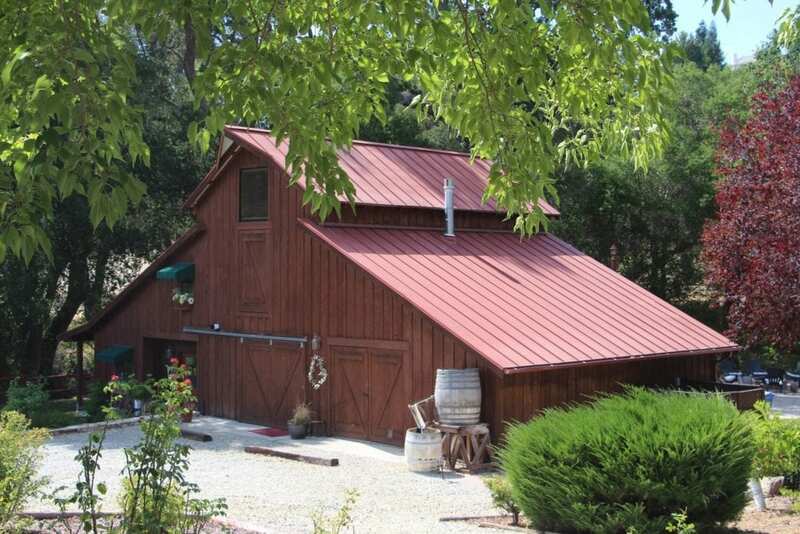 The winery produces hand-crafted, Bordeaux wines in small lots. Once the home to the family of a pioneer farmer and pastor, the house offers a large gourmet kitchen, dining room, living room, three bedrooms, and two full baths. Two of the bedrooms have queen beds, while the third bedroom has two twins. 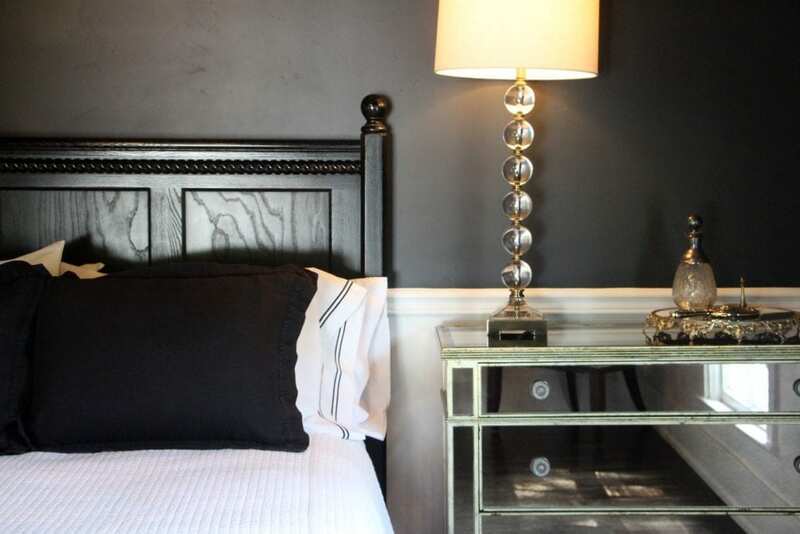 The décor is an eclectic but tasteful mix of contemporary and antique furnishings, fixtures, and colors. Outside, a shaded side deck offers patio seating, a barbecue grill, and a hot tub with picturesque views of the vineyards. The lawn is bordered by boxwood hedges and rose gardens. Lights strung from the trees and provide an enchanting glow at night. Near the barn, a pair of deep-cushioned patio chairs and a couch flank an outdoor fire pit. While relaxing outside with a glass of one of HammerSky’s estate wines, you’ll be sure spot deer roaming through the vineyards. Modern opulence reigns at the three-suite Inn at Opolo. 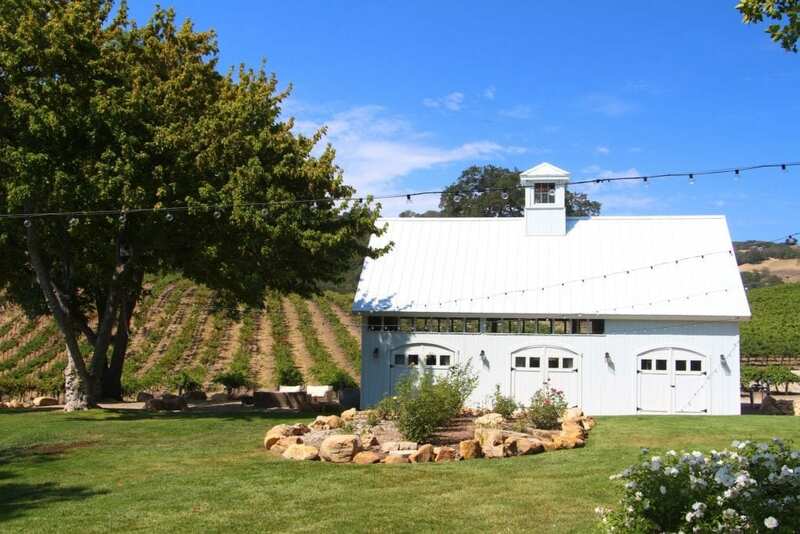 Built in 2008 and surrounded by nearly 100 acres of grapes, the inn is nestled into a hillside a short walk from Opolo Vineyards’ tasting room. The spacious suites feature fireplaces, Italian linens and bathrobes, king beds draped with feather duvets, glass-enclosed tiled showers, and jetted soaking tubs for two. French doors from each of the suites open to a sunny, wrap-around veranda with comfortable lounge chairs and scenic views. A charming pair of wooden swings hang from the branches of an old oak tree. 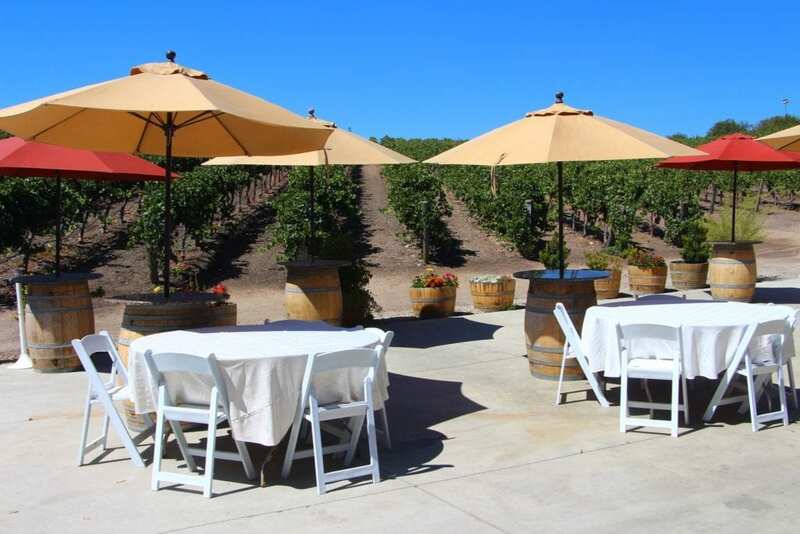 There’s also a bocce ball court, walking paths through the vineyards, and complimentary wine tasting at the tasting room. The tasting room pours great wines and a relaxed vibe that spills out onto the patio overlooking merlot and zinfandel vines. Don’t miss the tasting room patio’s selection of casual fare. You can choose from fire-roasted pizzas, oysters, mezze boards, salads, and house-made cevapi platters. 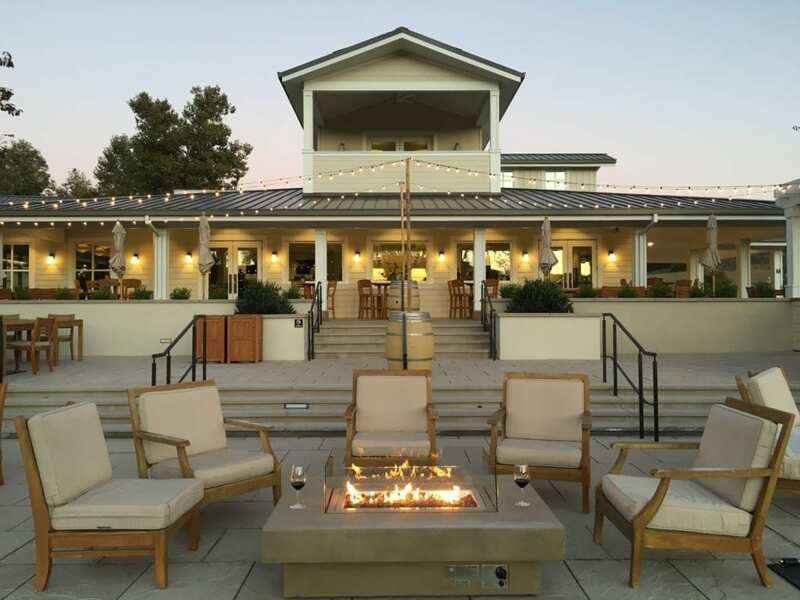 Between lunch on the tasting room patio, the complimentary afternoon wine and hors d’ oeuvres, and the gourmet breakfasts served each morning, you’d never have to leave Inn at Opolo… nor may you want to. 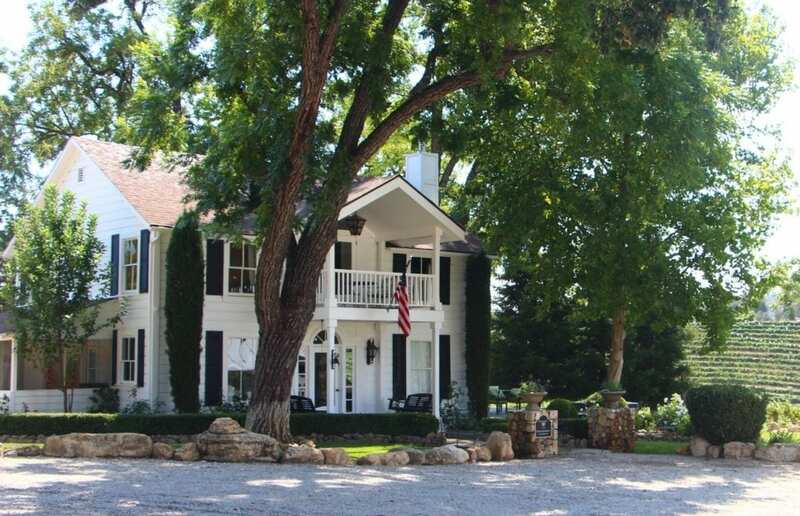 Just over two miles up Vineyard Drive from Highway 46 and short jaunt to numerous wineries, Creekside Bed & Breakfast provides a secluded Paso wine country escape. 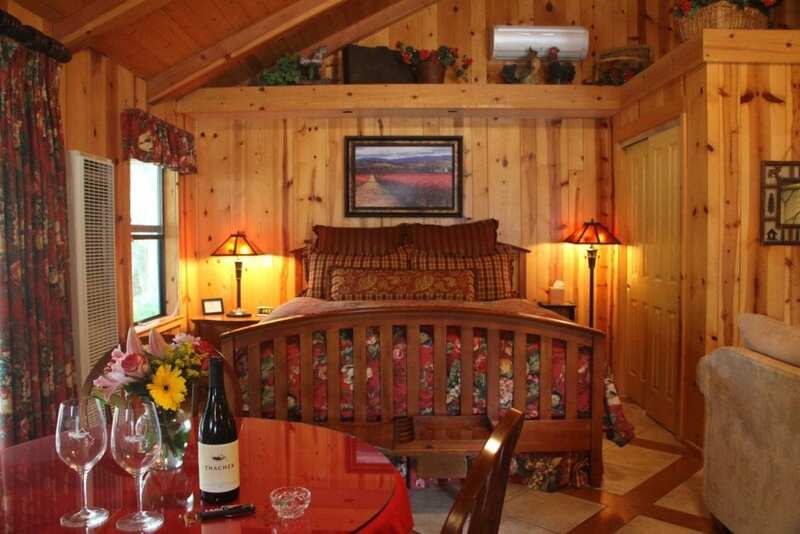 This two-suite inn is housed within a beautifully-restored barn that exudes warmth and hospitality. Both suites feature stone fireplaces, lofty featherbeds, luxurious linens, well-appointed kitchenettes, fresh flowers, and a gourmet breakfast delivered to the suite each morning. The walls and ceilings of the Creekside Room are finished in a rustic, honey-hued pine. The suite’s cozy couch is perfect for snuggling up by the fire. A sliding glass door opens up to a porch with rocking chairs overlooking the creek. 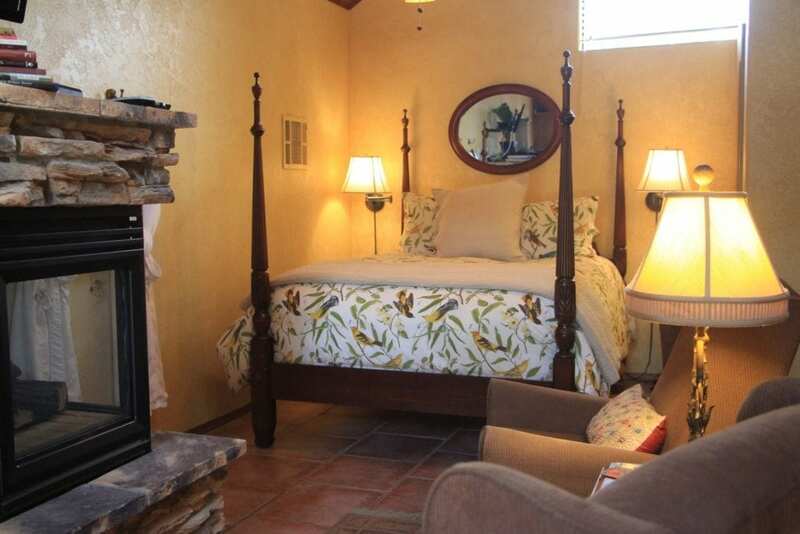 Upstairs, the Room with a View features a romantic four-poster bed, two wingback chairs facing the fireplace, ochre-painted walls, and a small, second bedroom tucked into the eaves. The suite opens to a private deck with a patio table and chairs overlooking the fire pit. The brick fire pit sits in a clearing beside the creek, where evening fires and s’mores are a favorite among the guests. Upon request, the innkeepers will deliver a basket filled with marshmallows, chocolate, graham crackers and skewers to your door. The first and fourth photos courtesy of JUSTIN Winery. All others by Ranee Ruble-Dotts for CABBI.